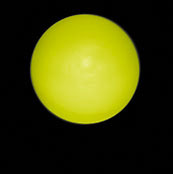 4 Fluorescent: Lightening Yellow pinballs. These are great in all of your games that have a black or yellow theme. They make your game play faster!